If I told you the names Jerry Greenfield and Ben Cohen, you probably don’t know who I’m talking about. However, if I mentioned Ben and Jerry’s, you’d immediately remember the popular ice cream brand. The founders’ first names have become synonymous with ice cream in unconventional but tasty flavors, with chunks of ingredients complementing the ice cream they’re in. This came about because Ben relies on the texture of food, not the taste, to determine his diet. Ben & Jerry’s is also famous for its annual free cone day worldwide. The tradition started way back in 1979 on the anniversary of its very first ice cream parlor. Ice cream lovers look forward to the yearly event to enjoy popular flavors such as Chunky Monkey, Phish Food, Salted Caramel Core and Chocolate Chip Cookie Dough. Let us know how much you love the following pints of Ben and Jerry’s ice cream! Your sentiments toward these unique flavors will then help us determine what kind of soul you possess. What do you think of Ben & Jerry's Chocolate Fudge Brownie? How about some Chocolate Chip Cookie Dough? Have you tried Phish Food? Do you enjoy Strawberry Cheesecake? Are you a fan of Chunky Monkey? Have you tried some Chocolate Nougat Crunch? Do you love the Salted Caramel Core? Would you eat Cinnamon Buns? Have you tried some Cheesecake Brownie? Would you eat Peanut Butter Fudge Core? Would you have a bit of Half Baked? Do you love Ben & Jerry’s Red Velvet Cake? Would you enjoy a scoop of Triple Caramel Chunk? Finally, what do you think of Truffle Trifecta? 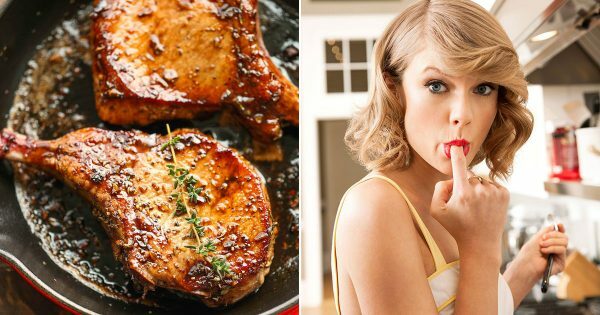 What’s Your IQ, Based Only On Your Dinner Choices?